Every one of us loves some sweet goodies. Cakes in particular are a favorite treat that people choose for a lot of cherished events and in some cases, simply for no reason at all. If you notice, we have several shows on tv centered around baking cakes. This is because we enjoyed watching a cake change from a crepe mixture to a work of art. The food community specifically is loaded with captivating cake focused programs which evidently do pretty good in reviews. All of us has a bit of a sweet tooth at times. In order to design an appealing to the eye logo meant for a cake shop or cake bakery, the true secret would be to play on that sweet tooth and express how tempting sweets could be. Here are the 30 Sweet and Delicious Designs of Cake Logo for your inspiration. Take a look at this list to get creative ideas in designing your next logo design project. For sure, you are already getting hungry while browsing the list. Enjoy! For this new update, we have added more logo designs for you to see more designs that you need. Scroll down and check them all out! You just might get some new ideas and inspiration from them. So come on, take a peek, and enjoy your browse! A logo design created for a brazilian company that develops blogs using WordPress as back-end. A logo design suitable for a music social network. A logo design which is great for bakeries, cupcake or macarone seller. A logo design which can be used for any pastry shop or the web services related to music/sound production. A branding logo design for a new and upcoming cupcake business that provides all types of decorative cupcakes for all times of parties and get-togethers. A logo design developed for a cupcakery. A logo design created for a website named Paula’s cakes. A mark which was created for a new mini cupcake bakery. Smash Cake Design created for an internal client. A logo design created for a cake shop. A logo design created for a news aggregation blog. A logo design created for a pastry shop or bakery, cake decorator, catering service, dessert shop, cafe, restaurant. A mark which is perfect for a bakery store. A branding logo which is great for any web applications, design, art, games, internet and web or even for food and candy program. A logo design which is great for a bakery/cake related business. A logo designed for an icing cake bussiness. A branding logo suitable for cupcake business, bakery or dessert business, kids clothing, boutique, etc. A logo design which can be used for a bakery, party planner, snack company, etc. A great mark for restaurants with desserts as well as attention to the kitchen. A logo design suitable for a baker. A logo design which can be used for any business, from food, restaurants, sweets to categories even related with consulting, communications, design, fashion. A logo design created for a wedding photographer. A logo designed for a bakery. A logo design created a shop which specializes all kinds of desert. A logo design suitable for a cupcake shop. A logo design created for a cake studio. A logo designed for a store selling cakes and baked goods. A logo design great for a dessert cafe, cupcake shop, or even clothing line. A logo design which works well for anything cute, sweet or plain adorable and for a cupcake store. A logo design which is perfect for a restaurant, cafe or coffee shop specializing in cakes. A heavenly cake logo with wings to emphasize the name. A cute cupcake logo with wings good for bakery and pastry shops. A multi-layered cake logo design that shows elegance. A creative cake logo shaped like a heart. A nice logo design that has cupcakes and coffee great for café shops. This is a logo design concept for a pastry shop that incorporates a cake and a cute house together. Stylized fruity fresh cupcake logo with cherry decorations. An ideal logo for bakeries and pastry shops. 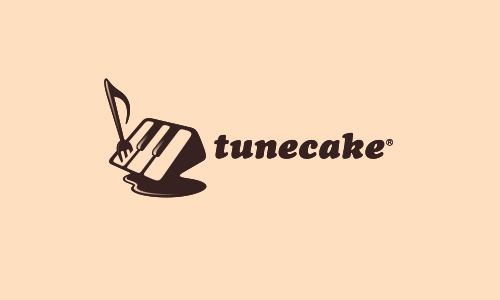 Another multi-layered cake logo in various colors. An enticing logo design of a cupcake with its yummy icing. An award-like design logo for a bakery or café. A cute logo of a cupcake with its icing added with monster features. A creative logo design combining the tip of a pen and a cake. A logo truly helps promote a business or company. These businesses may not be as captivating if they don’t have their logos to help ramp up one’s cravings for sweet treats. Which logo design inspires you to make your own for your future cake shop? Logos are really nice designed, thanks for sharing. The logos are conveying the intended message to the targeted market in quick time and leave an impression that lasts many a lifetime.